$40Billion in Cuts – Call Your Congressmen! So, I was scheduling my post of weekend links yesterday when the news that House voted to slash $40 billion from the food stamp program hit my Twitter feed. I wish I could say I was surprised, but our current Congress has proven time and time again that the interests of working families is just not their priority. This $40 billion cut will not only affect “able-bodied adults that are out of work.” The cut hits parents that still can’t manage in spite of working hard. This cut hits families with children. This cut hits mothers that are un/underemployed because they have small children and pre-school aged children. These cuts will affect school lunch programs and the hundreds of thousands of children that depend on them for their sole sustenance. This cut is targeting and criminalizing a segment of our community that is most desperately in need of our help. Why is 1 in 4 Texas children at risk of hunger? An explanation in graphs. Contact your representatives and senators TODAY to let them that there is no way that the private sector and non-profit community can fill in the gaps that these cuts will create in the children’s nutrition. And please… donate to your local food bank. Non-profits and private charities are what help fill in all the gaps that our government leaves behind. 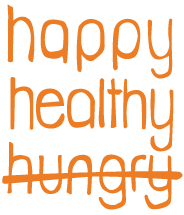 In the irony of all ironies, September is Hunger Action Month.